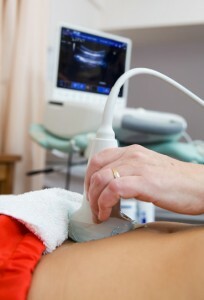 Ultrasound uses sound waves to create pictures of the patient anatomy. High-frequency sound waves are transmitted from the probe, through a gel, and into the body. The probe collects the sounds that bounce back and a computer then uses those sound waves to create an image. Most ultrasound exams require specific test preparations Contact Gateway for specific preparation instructions.